IL-2 Sturmovik: Birds of Prey arrived at the tail end of the World War II game genre’s huge popularity. As such, game music fans had witnessed many different approaches to underscoring this most devastating of armed conflicts. Especially Michael Giacchino‘s oeuvre had been a potent display of how to put war into music in various ways. Jeremy Soule hadn’t worked on a WWII game before Birds of Prey and the same year’s Order of War. However, his fantastic action material on Total Annihilation had a militaristic ferocity and soaring momentum that made him a logical choice to score a flight combat game such as Birds of Prey. True, the game itself didn’t add anything new video games’ depiction of the clash between Allied and Axis forces. 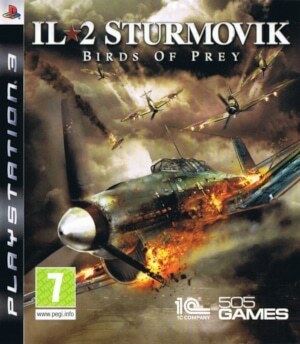 However, Soule’s IL-2 Sturmovik: Birds of Prey soundtrack found an approach both novel and rooted in the composer’s previous works. Using the SNES’s famed 3D capabilities for a combat flight simulator seems like an obvious choice. However, despite the popularity of After Burner-style games in the late 80s and early 90s, not many titles of this kind were released on the SNES. One of the few SNES flight simulators was the blandly-titled Lock On (not that the Japanese release name Super Air Diver made any sense, but it sure sounds more fun). For post SNES-era gamers, the best way to view developer Copya System‘s Lock On is probably as a kind of simplified Ace Combat. Some of that simplification was inevitable, given that the SNES’ famous Mode 7 could only generate 3D graphics of limited complexity. 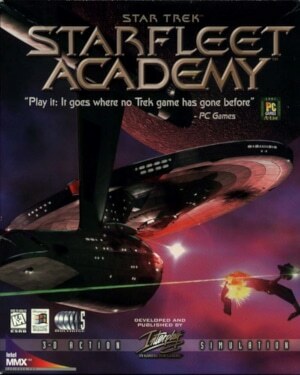 However, in the eyes of many reviewers, the bigger issue was the monotonous mission and gameplay structure that distracted from the game’s fluid, fast graphics. Where Lock On easily shines brightest is in the music department, thanks to some outstanding work by young composer Akihiko Mori. Mori had been working as a game composer since 1990, but mostly on smaller and less thankful projects. His biggest assignment so far had been to generate the sound effects for Copya System’s Paladin’s Quest (scored by none other than Kohei Tanaka). Lock On was easily the most high-profile project that Mori had been assigned to yet as a composer. And indeed, throughout the Lock On soundtrack, Mori displays the enthusiasm of a talented composer who senses that this project could be his big break – and that turned out to be the case indeed. Among Michael Giacchino‘s WWII scores, the Secret Weapons Over Normandy soundtrack is conceptually and emotionally the most straightforward one. There’s none of the anguish and tragedy of Medal of Honor: Frontline here, none of the subtle character beats of Medal of Honor: Underground, or even the few injections of solemn patriotism of Medal of Honor – and the viciousness of Call of Duty, released almost at the same time as Secret Weapons, seems worlds away. 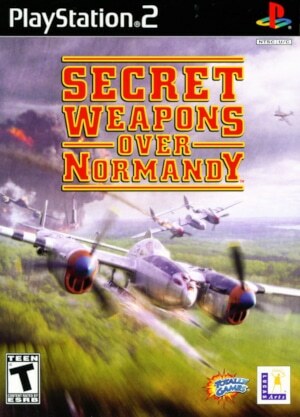 Instead, the Secret Weapons Over Normandy soundtrack takes Medal of Honor‘s ‘war-as-adventure’ aesthetic to its extremely entertaining, bombastic extreme. How to locate Secret Weapons Over Normandy within the context of Giacchino’s body of work? You might accurately describe it as a return to the original Medal of Honor‘s ballsy gung-ho attitude. That spirit is channelled through Medal of Honor: Frontline‘s superior grasp of orchestral colours, but without its sense of tragedy. This is partially due to Secret Weapon‘s arcade-like nature, which didn’t require a score of operatic emotional range. Very few games foreground their music as much as Wing Commander – and that’s only one way in which it proved to be a watershed moment for game music. Before the player gets to see the game’s intro or even title, game producer Chris Roberts inserts something else, something remarkable: the sight of a pixelated orchestra and conductor, set against the backdrop of a blue planetoid and star-speckled outer space. The orchestra tunes for a few seconds, before the conductor gives the signal to launch into a brief fanfare. Roberts’ vision for Wing Commander was to create a full-blown space opera à la Star Wars. The orchestra intro in Wing Commander shows that Roberts knew how hugely important music was for his dream project to play like a swashbuckling space opera. 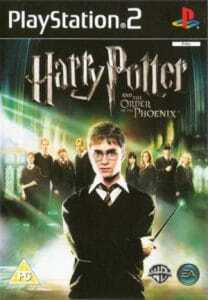 The intro also serves as a curtain raiser that heightens expectations. The show is about to start, and it’s going to be of grand proportions. And of course, the sight of the orchestra announces the composers’ symphonic ambitions – a rarity for a 1990 video game. Rarely has a 25-second game intro carried so much meaning and context.